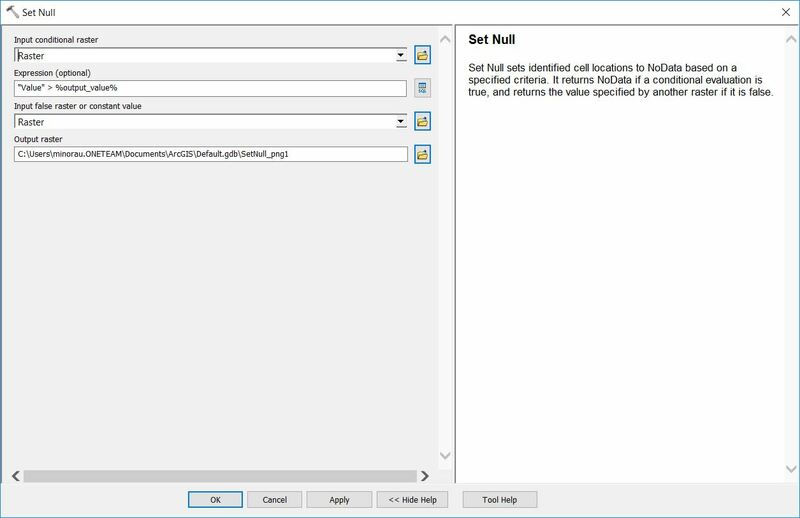 I want to set null all raster values that fall below the 75th percentile value. E.g. If you classify the raster by quantile method into 4 classes I want to be left with the top 25% percentile. For the raster shown below, 3.154941635 would be used in the set null expression. 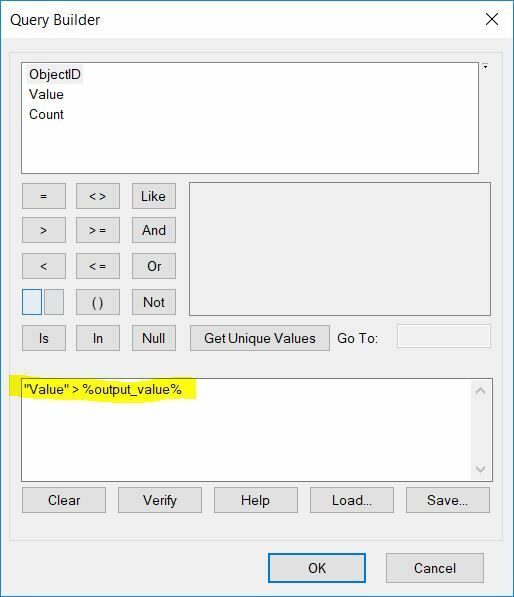 Clicking the Verify button for an SQL query with an inline variable substitution in Query Builder, for tools such as Make Feature Layer, Select, and Select Layer By Attribute, will give you an invalid SQL query error, as the verification does not substitute the value of the inline variable when evaluating an expression. 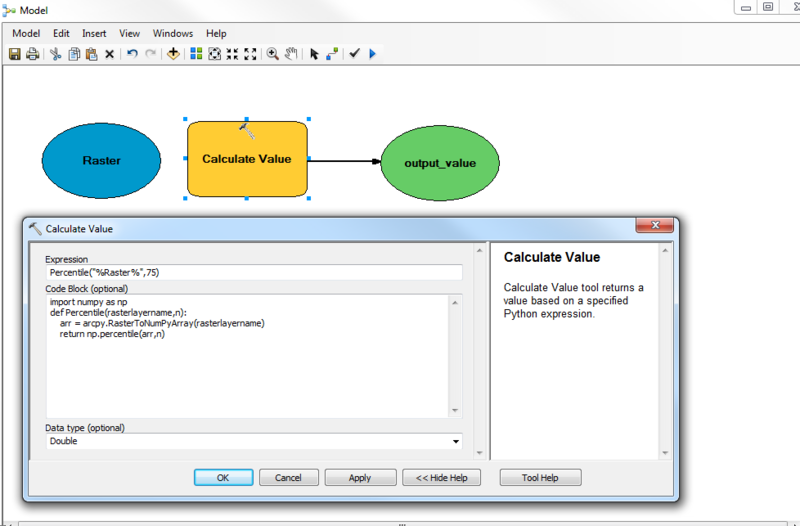 When the tool runs, the value of the inline variable is substituted in the expression and the results are created based on the substituted values. 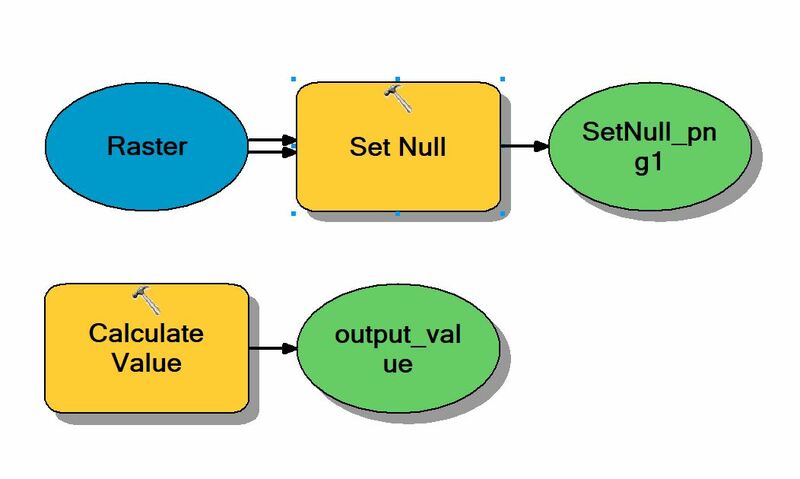 Finally, as I said, you should use this model as a submodule used as an iterator to another model to run it against all your rasters (https://desktop.arcgis.com/en/arcmap/latest/analyze/modelbuilder/integrating-model-within-a-model.htm#ESRI_SECTION1_FC4FA1B8DC0D418098AD21B774804821). Not the answer you're looking for? Browse other questions tagged arcpy python raster raster-calculator calculate-values or ask your own question. Converting raster to vector from multiple raster values? Converting string to float in Calculate Value for ModelBuilder?